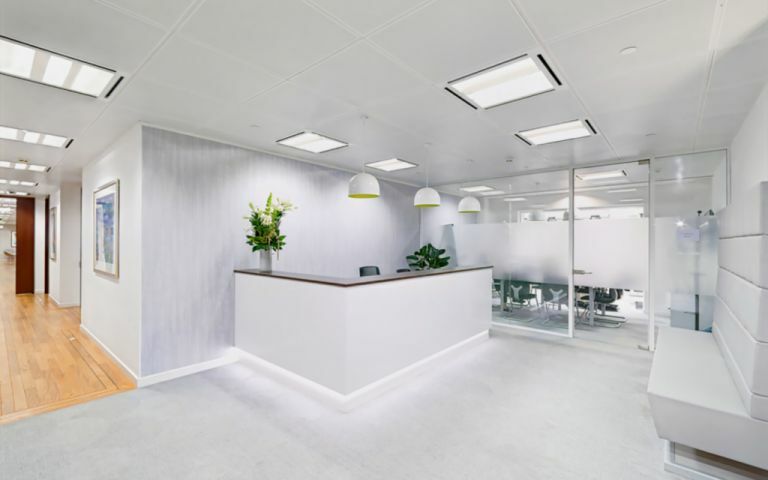 Modern serviced offices located within a prominent Grade A building in the heart of the City of London. The contemporary offices benefit from the floor to ceiling windows that flood them with natural light while the high ceilings add to the sense of space. They all come with superfast dedicated broadband, the latest telephone handsets, are air conditioned and have 24 hour access. Clients will benefit from a professionally staffed reception with concierge service and onsite meeting rooms available to hire when you need them. Bank station is a three minute walk away giving you access to the DLR and five tube stations; Northern, Central, Circle, District and Waterloo & City. There is secure cycle storage and shower facilities available. The serviced offices are located on Gresham Street surrounded by a wide selection of nearby restaurants, cafes, shops and gyms. Clients are placed just a 3 minute walk from Bank underground station on the Central, Northern, Waterloo & City, DLR Trains and a 6 Minute walk to Moorgate on the Circle and District, Hammersmith and Metropolitan lines. Additionally Liverpool Street, Canon Street and Moorgate train stations are all within easy walking distance.